Everyone wonders why the youth of today cyber bully’s each other? The youth too are aware of this menace which is prevalent amongst their age group. 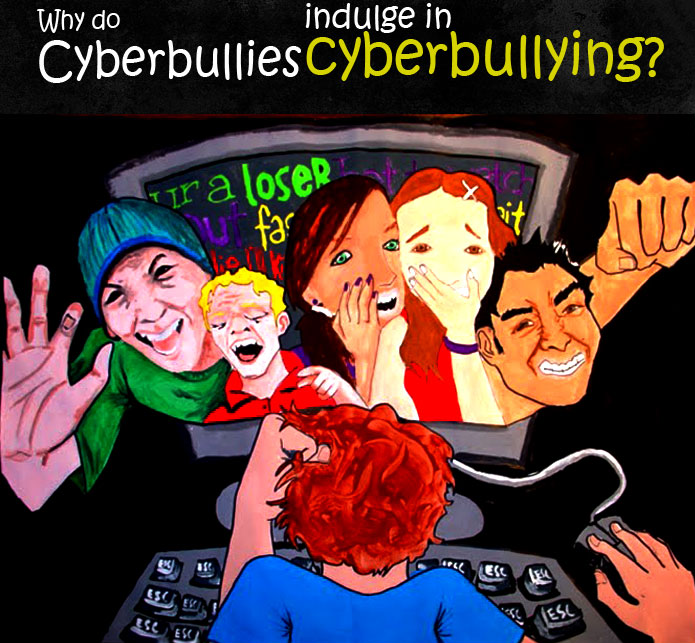 When asked the reasons behind Cyberbullying and indulging in this act, the most common reason revealed was that it was conducted against someone who they felt deserved to be cyberbullied or because it was used as a way of getting back to the other person for something he/she may have done in the first place. Such reasons suggest that the victim was seen by the perpetrator to have behaved and done something initially due to which he deserved to be cyberbullied and had it coming. If you want to know more Stories and Reasons of CyberBullying by CyberBullies with Facts and Statistics, then following Infographic will be useful for you. Apart from this, reasons also included being engaging in fun and having entertainment with friends who would then accept the perpetrator as part of their group and would be aware that he is capable of doing something like this in the future as well. Below Infographic is developed by team "theonespy".